Greta Schiller is an independent director and producer of documentaries for television, festivals, theatrical and educational distribution. All Movie Guide writes “Director Greta Schiller has traveled the world making extensively researched and highly informative films”. Her career was launched in 1984 with the theatrical release and PBS broadcast of her first feature documentary film, Before Stonewall. The film premiered in the Berlin International Film Festival and was showcased in over 75 film festivals worldwide. Now considered a classic, Before Stonewall won two Emmy Awards. Time Out, London, called it: “A near perfect blend of personal story and historical archive”. With funds from Channel Four in England and ITVS/PBS, she wrote and directed a short fiction film Woman Of The Wolf starring Alex Kingston (of television’s ER). It played on the festival circuit and was broadcast nationally in the U.S. and U.K.
Greta’s highly acclaimed feature-length documentary, Paris Was a Woman, premiered at the London and Berlin Film Festivals. The film went on to win many awards at international film festivals. It was released theatrically in the U.S., Germany, Spain and Great Britain, breaking house records in several cities. The film was broadcast in 16 countries. In 2000, Greta produced Escape To Life: The Erika and Klaus Mann StoryThe Man Who Drove With Mandela, with funds from the Arts Council of England, NY Council on the Humanities, Arte/ZDF, Hamburg Film Fund, YLE TV2, and The Media Programme. Prior to that she produced and directed commissioned by Channel 4 UK, the Corporation for Public Broadcasting, AVRO, Yle TV2, The British Film Fund, SABC, and The London Production Fund. Featuring Corin Redgrave in a tour de force one man show, the film won the Gay Teddy Bear Award for Best Documentary at the Berlin International Film Festival. Greta directed I Live At Ground Zero, broadcast over German and French television, which offers a child’s eye view on September 11th, and Recall Florida about the recent campaign of Janet Reno for Governor of Florida. Her film No Dinosaurs in Heaven deals with the problem of creationists posing as science teachers across the United States in order to introduce anti-science ideas into the science classroom and threaten the separation of church and state. Her most recent release is The Marion Lake Story, an uplifting environmental film which follows a grass-roots community effort to restore a dying lake. 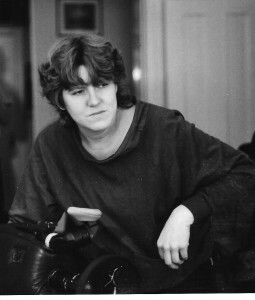 Greta was the first recipient of the US/UK Fulbright Arts Fellowship in Film. She has been a recipient of grants from the NEA, NYSCA, NEH, New York Foundation for the Arts, London Production Fund, European Media Fund and The Arts Council of England, among others. She was recently awarded an Outreach Fellowship from the Rachel Carson Center for Environment and Society, Universities of Munich and Zurich, 2015-16. Greta is working on her present project as a 2017 Global Fulbright Fellow in India, Spain, and Australia. Watch Greta Schiller discuss her film Before Stonewall at the Teddy Awards of the Berlin Film Festival, 2016.